At Infinity Hot Yoga we create a space where you can be kind to yourself. We offer a warm friendly environment where you can begin or continue your yoga journey. 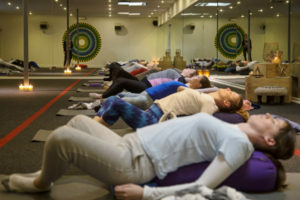 Our friendly and experienced team of hot yoga instructors will guide you safely through your practice, leaving you feeling relaxed and revitalised. Buy 1 mid week 10 am class & get a second mid week 10 am class for free. We have a different class each day from Monday to Friday, and they are all beginner friendly. Click here for more information and T&Cs. To get the brief descriptions of our scheduled classes click the buttons, if you want to know more you can contact us or come along & see for yourself. A regular hot yoga practice will cause a number of beneficial effects on your body, regardless of the starting point. What separates a hot yoga practice from other forms of exercise is the functional nature of these benefits. A regular hot yoga practice will cause the parasympathetic nervous system to be activated. This part of the body’s central nervous system is often referred to as the “rest & digest” system. 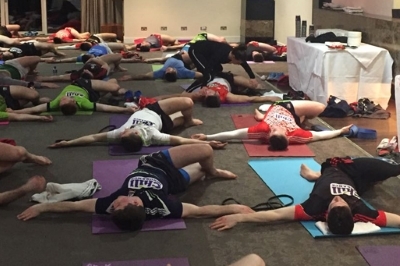 Many sports people use hot yoga to address gaps in their training schedule. 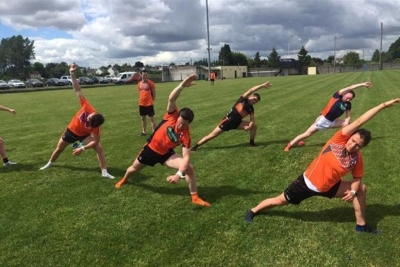 For the field player, runner or cyclist there is frequently a loss of flexibility in specific joints. Join the Infinity Hot Yoga community today and feel the amazing transformation for yourself! At Infinity Hot Yoga we create a space where you can be kind to yourself. We offer a warm friendly environment where you can begin or continue your yoga journey. 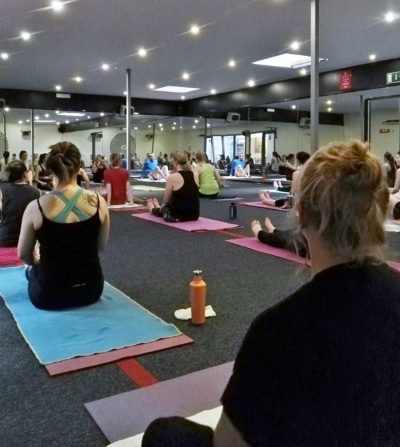 Our friendly and experienced team of hot yoga instructors will guide you safely through your practice, leaving you feeling relaxed and revitalised.